From musical programs to honey-making workshops; tree-pruning classes to art installations, Green-Wood turns learning into enlightenment. 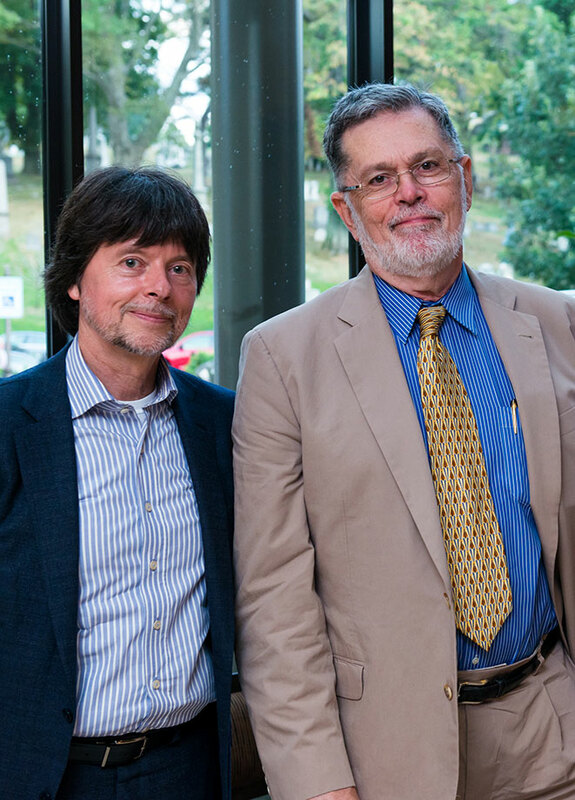 Filmmaker Ken Burns at the 2016 DeWitt Clinton Award for Excellence event. Just as our staff cultivates the grounds of Green-Wood, our contributors help cultivate Green-Wood’s commitment to innovation; bringing a thoroughly unique mix of art, history, and nature to the cultural life of the five boroughs and beyond. Green-Wood members and donors support art, history, nature, culture and community all at once. That’s a big bang for a Brooklyn buck. Seven-time Emmy award-winning documentary scriptwriter, historian, and author, Geoffrey Ward, received The 2016 DeWitt Clinton Award for Excellence. Alongside his collaborator Ken Burns, Mr. Ward is responsible for some of the most iconic documentaries of all time, including The Civil War; Baseball; Prohibition; The Statue of Liberty; and The War. Mr. Ward is a great friend of Green-Wood. Included among his 17 books is the critically acclaimed “A Disposition to Be Rich: Ferdinand Ward, the Greatest Swindler of the Gilded Age,” about his own scandalous great-grandfather, who lies in permanent rest in Green-Wood. Each tier expands privileges, and all members get maps & guides, reduced or free event admission, plus GW store & area business discounts. Premium donors can add Epoch Dinners, private receptions with artists and historians, vintage bike rides, and more to their membership package.